Bonus table valued at $189. 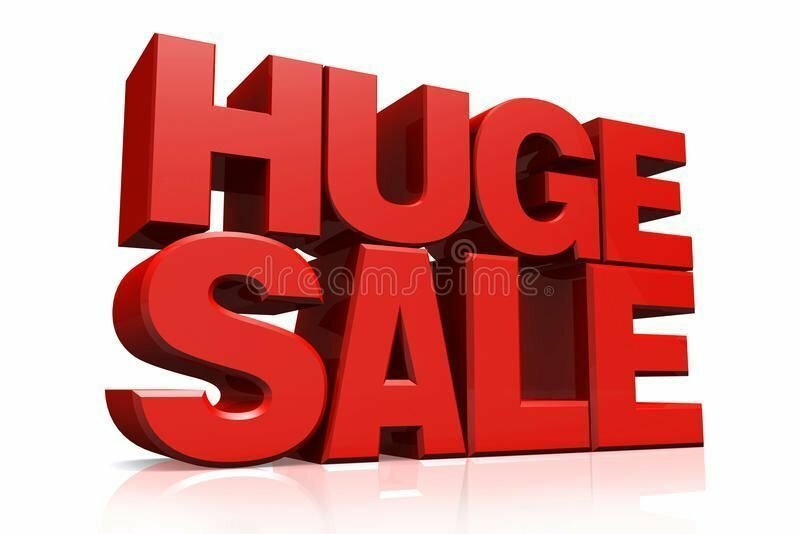 when you purchase the Janome horizon Memorycraft 8200qcp special edition sewing machine for $2299 . This machine is rated highly. save $700 off RRP. now you can do all the quilting you dreamed about. Monograms, stippling etc. 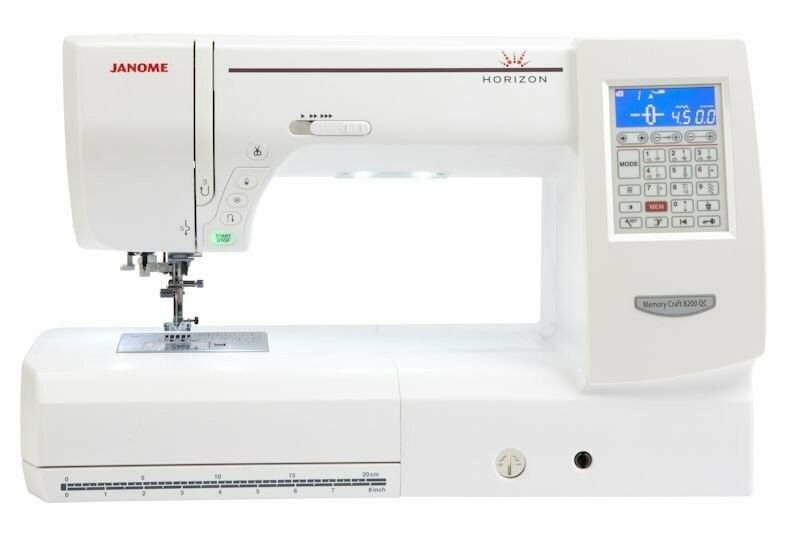 The Horizon MC8200QCp special edition offers any sewer functionality, precision and ease of use which is renowned to Janome's technology. 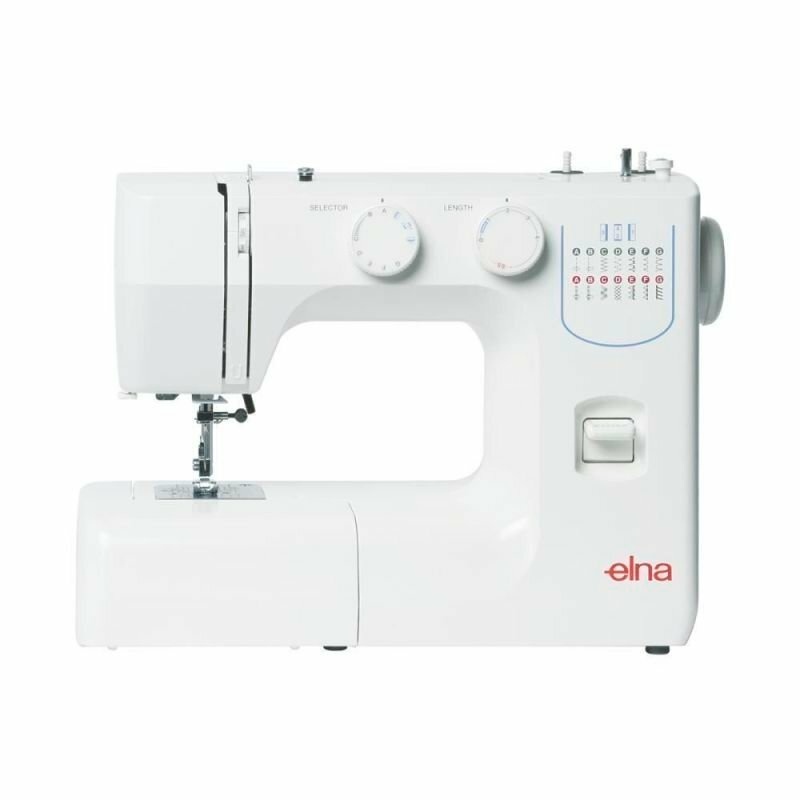 Creativity is about unlocking possibility, this model not only gives you a Quilting and Sewing value machine, it is also bigger and bolder than a standard sewing machine, it's time to take a new direction. 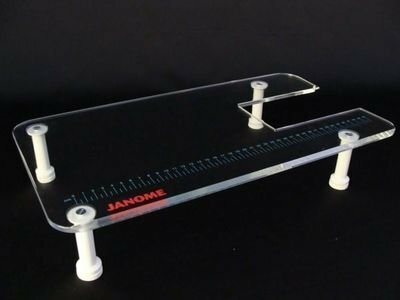 The obvious features that jump out at you straight away are the large 11 inch throat opening, which means that you can now handle those large bulky projects with ease. Also the 10 inch freearm means sewing those fiddly items like cuffs, pant legs, etc. will no longer be the hassle they have been in the past. 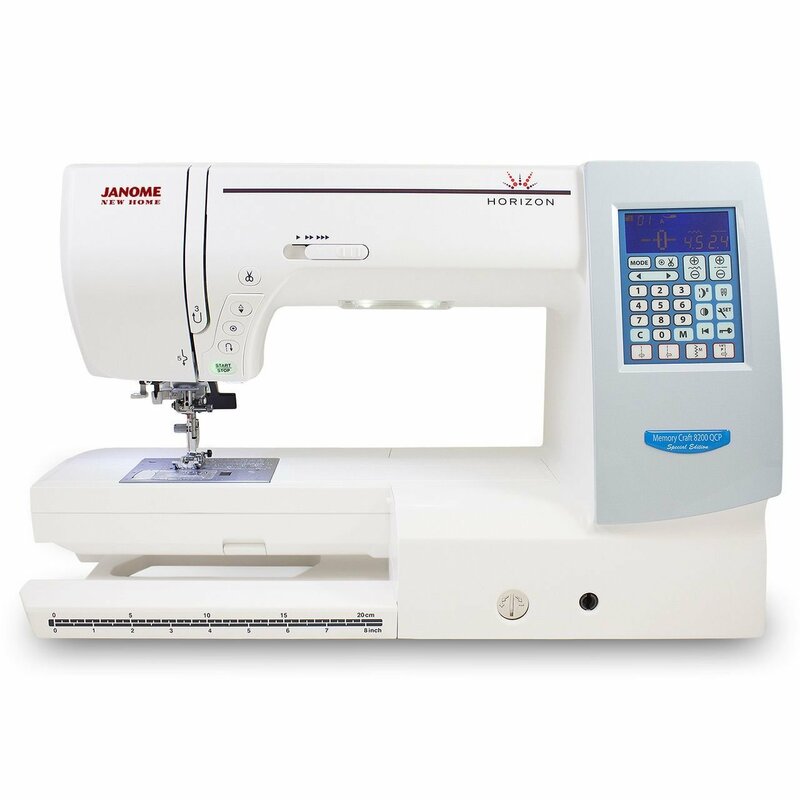 Other features include 9mm stitches, sews up to 860 stitches per minute, removable AcuFeed System, shadow free lighting, bright backlit LCD touch screen, 10 direct stitch keys for fast and efficient stitch selections of your commonly used stitches, one-step needle plate release, huge storage compartments and much more. 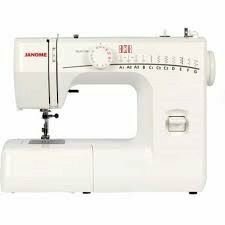 • Sews up to 860 s.p.m.